Who is one of the most dynamic and engaging leaders in the HVAC and BAS Industry? Great interview with Martin Villeneuve! Who is one of the dynamic and engaging leaders in the HVAC and BAS Industry? Meet Martin Villeneuve, SVP Distributed Building Technologies, Acuity Brands and President, Distech Controls. 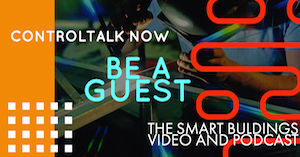 Welcome to Episode 310 of ControlTalk NOW — Your Smart Buildings VideoCast and PodCast for week ending April 7th featuring Martin Villeneuve, the man behind Distech Controls’ continued growth and pace-setting innovation. Register today for the 2019 Controls-Con, 2019 Haystack Connect, and the EasyIO World Conference are right around the calendar corner! 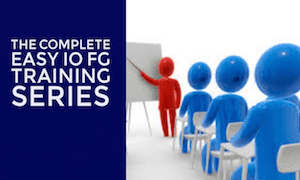 Check out Belimo and Siemens upcoming Webinars; Optigo releases New Site Manager; Penn’s two products that will make you money; and New Generation Innovation presents their latest PodCast from Ixtapa, Mexico. Announcer: The following is a presentation and the ControlTrends. Podcasting Network Hello. 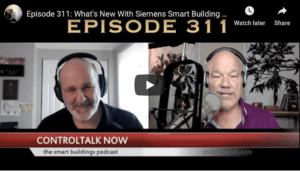 Welcome to ControlTalk Now you’re listening to CONTROLTALK NOW your HVAC and Smart Buildings Podcast with Ken Smyers and Eric Stromquist. Get all the HVAC and Smart Building Control News You Can Use. Now here is Eric. Eric Stromquist: Hi this is Eric Stromquist, welcome to CONTROLTALK NOW your smart buildings at HVAC podcast and video cast for the week ending April 7th, 2019. This is episode 310. We talk about all things HVAC and Smart Building control related ,and pretty much whatever else we want to as well. And I am joined as usual by the man, the myth, the legend, the HVAC and Smart Building Control Man , Kenny Smyres, the man from Pittsburgh, Pennsylvania. I’ve got to do my FM radio goes here. How am I doing Kenny? Ken Smyers: They did pretty good, Eric. I love those introductions. You’ve got to get enrolled and everything’s like, we’re on a set and it’s, it’s all going good because now the great show, another great day in the HVAC and Smart Building Controls industry, just a capture are the captures that we have for this week are amazing. Uh, the industry is turbulent and it’s good stuff. I’m looking at new products. We get new releases, we’ve got one webinar after another, we’ve got name changes, we’re going acquisitions. It’s just a very, you know, very active industry. So, uh, how are you doing down there in Atlanta, Georgia? Eric Stromquist: We’re doing good. We’re staying busy buddy. We’re staying busy and dude, I am so, so excited about our guest this week. Uh, one of my favorite people in the industry. I think when you listen or watch this interview with this gentleman, you are going to be as impressed as we are. This company is on the move. Talk about turbinate talk about disruptive and all the right ways. No, I’m not talking about one of my ex wives. We are talking about Distech Controls and Kenny, how about introducing our guest. Ken Smyers: All right, Eric, I’d love to, I’d love to introduce Martin Villeneuve from Distech Controls, Martin is, the president and just to doing a great job at Distech Controls.. We’re really excited to talk about all the wonderful things going on at Distech Controls, welcome to the show Martin. 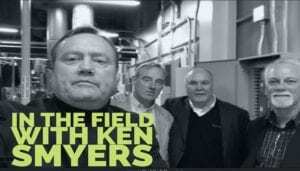 Ken Smyers: in England. Did my best and we, we’re, we’re, we’re learning itself part of the learning process. But yeah. Eric Stromquist: Well, great. 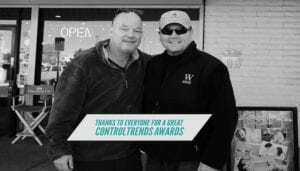 Well Martin, uh, first of all, on behalf of the ControlTrends HVAC and Smart Buildings Controls community, thank you so much. Distech Controls has been a sponsor for the ControlTrends Awards and you guys have actually done quite well at the ControlTrends Awards. Uh, you know, our last two women of the year, both Monica and Stephanie had been from Distech Controls, so congratulations on that. You’ve won them. We’re so proud for them. For her. Yeah. Well they’re great, great women. So one of the questions are probably going to ask you off air is, is what your secret. We’ll have great women because I haven’t been so lucky if you follow the show, although I’m kind of lucky right now with a great wife. She’ll probably listen as I get in trouble. But you got those two, you guys were vendor of the year this year and you had the building automation control of the system system of the year in 2017. So, uh, needless to say, you guys create great products and a great experience for your customers. So, uh, if you don’t mind, I kinda like to get a little history. Can we start with sort of how you got started in the business and how this tech got started? M. Villeneuve: Yeah, yeah. With pleasure with pleasure. So this tech start at 25 years ago in 1995 and the Montreal area of Quebec, Canada being a system integrator, so system integrator of technology, uh, in order to save energy and the buildings. So a lot of the building in the Quebec area are heated by electrical energy and uh, I droo energy as well. And there was a big program to save energy and their g and the provinces. And this deck was one of the, uh, of the system integrator to do that. And we were using other companion product to achieve, it wasn’t the rise of a lawn works technology at the time. So, uh, excuse me, it was the rise of lawnmower technology at that time. And, uh, we were using other companies, the product and the president at this time, the founder and president, uh, uh, at this time, ATM video had the ID team to create this own product. By having a research and development design center, you will achieve that. So I came along in 1999, you know, uh, went in mechanical engineer at school and the, you know, when you go into mechanical engineer you can decide where to go after. 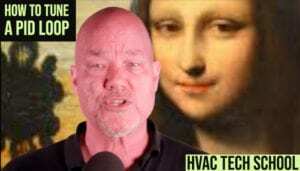 There is a lot of uh, a venue, a lot of aspects that you can go on so you can go in air conditioning, eating, ventilation, plumbing controls, uh, lots of different trades. And I’ve decided to go and controls because that was the most interesting to me since you can touch all the different aspect of the building, uh, all together, maybe not go deep down in every of the aspect, but at least have a general understanding of how everything works. Was always amazed when I was a kid to look at a building and look at this and how the water is going on the 18th, on the 81st floor. And how do you eat that? How do you cool that, how it’s working. So that was a true interest of myself. So couldn’t controls was a natural progression I would say, of my interest and awesome. I came into this deck as a, as a project engineer actually I was in, I was the, as the director of at the times, I was in charge of executing the project with the product we had at the time and realized pretty soon that the product we were trying to design in research and development needed a little bit of help from knowledge of the field. So worked a lot with the R and d team in order to refine the product myself, a lot of other people at this deck that I’ve brought, uh, lots of information as well to the R and d team and uh, year over year, you know, we started by diversion one in 2000 then version two, version three stay along the long words and so on, so forth to the BACNet line and to where we are today. Well, I, I, you know, there’s, the growth has been fantastic. I mean we sort of a watched you guys and why do I, Stromquist.com Is very proud to be a Distech Controls partner, distributor partner now. So we really appreciate that. But, uh, we, we kind of watched you guys from a far and kind of go, you know, he kind of has started to build a reputation, has got going and it got going and we kept hearing more and more great things about you. And then I think a pivotal point to me was when you and acuity and DGLogix got together, uh, speak of you. What about sort of that and how that’s changed? What you guys, sort of, how you guys, what you guys are able to do now? I would say that our adventure, the adventure of linking BMS and lighting had started, uh, when we did, when this deck was still independent and, uh, made the bold acquisition, I would say they in France so far away from our down developing their con continent. So this acquisition was based from a product perspective on the integration in a room of lighting, Sunline, Nh Vac and everything that surrounds this, you know, uh, multisensor remote control, user aspect, uh, all of that sort. So this was our first attempt to really link, uh, BMS and lighting controls and as well as some online. And, uh, we were at p two, we did this acquisition in 2010. Uh, I personally went in France to manage this acquisition and the development of this product and market. And we finally achieved too, I would say now these years, uh, the, the apogee, the tip of the spear is in which we capture a lot, a lot of market share in those countries, especially in the skyline tower. Unfortunately. So when acuity came along, uh, to propose a partnership, a strong partnership by 2015, we looked at that and say, hey, this is exactly in line with what we think the should behave. You know, there’s no need for having two different systems, this bread system in the same room, in the same environment, uh, to control a on one side, the h VAV. And the on one side, the lining, when you think about it, when you put a motion sensor in the room, it should not only opened the light, but also give the signal to the HVAC to uh, put yourself to the, occupies Stan a set point and then open the blind. So all those systems should be linked. It’s not the fact that they in many market, uh, I would say mostly because of, uh, uh, trades the different rates in different project our did. Uh, and also the, uh, the regulation. So it’s true that some country I’ve stronger energy regulation that forced those systems to work together. So really, uh, that acuity was a continuity of our, uh, the application of our strategy, but now back strongly, strongly in North America. So what we like about that is that we were able to make a change in Europe. Being a small manufacturer, being focused on technology and became, became an important player there. Um, I would say the North American market was a bigger challenge to, to play with. 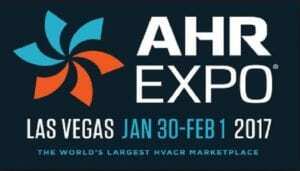 Uh, and the acuity with being number one in lighting luminaire and lighting controls in North America gave us a wonderful opportunity to work with, uh, top of the line market product line and us being the technology provider and having a lot of expertise into the integration between lighting controls and h Vac. And even that, you know, uh, we, uh, the partnership started in 2015 and uh, it took us, I would say a good year and a half to two to two years of investment between the team, between the research and development team of acuity and this deck to really arrive to a product which is wow, which is a pure unification, I think a lot of product on the market. Then you can do integration, can do integration pretty well. Two Systems speak on a BacNet and their face at one point. And you know, integration could happen. Where I make a difference is on the unification. You know, when you connect the system together, does all the, all the data are recognized automatically, are easily linkable at any point of hierarchy in the system. And, uh, can it really, is it predictable? So I’ve, I’ve been told by many customer when we did Voice of customer, you know, the problem of, of integration is that we know when we go in a job, we never know when we go out, when we do integration like this, we never know if all the protocols are going to be easily integrate of all. We don’t put a point that’s going to be at expos. We need to call the other manufacturers in order to expose the point we need for that specific sequence of operation when, when they work with our system or our goal is to make it easy and predictable. That always, uh, they will not have any stress to go in and out, uh, in a, in a, uh, in a reasonable amount of time, uh, and an optimize amount of time. As a matter of fact, uh, I take republish this, um, not so long ago that this deck and the Cuny, the all the target store in North America. So more than 2000 stores in which we did. Um, we, we have, uh, a distech eclipse con con good withdrawal does the weapons or face and all the light control true that according to a cloud server. So, uh, in, in the optimization per store, uh, the speed of execution is a really fast and predictive. Ken Smyers: Well Martin,, it’s very impressive. In fact, I just wanted to review a couple of things. So what led to this text? Meteoric growth has been innovation. I think you made it very clear, uh, gave us a good point, controls and quality, well they have heard about Distech Controls over the last few years is the impressive quality, not only innovation but quality. There’s not many a stutter steps or reverse gears where you led with some new technology and it didn’t pan out and it had to be reworked or whatever. So I think what you’ve done now is just tech is kind of set a new standard of integration, you know, and it’s, it’s really interesting to see how quickly you’ve grown. And my biggest question, what comes to mind is what are the tools? How did you achieve this meteoric growth? I mean, obviously you needed good partners, systems integrators, and now distributors. But tell us a little bit about some of the components of this tech x approach and why it’s been so successful. M. Villeneuve: We love to think that we are as good as you as you say, but there’s always room for improvement in any company. We, it’d be the best. We strive to have the best quality and, uh, but we, we don’t take it for granted. You know, we’re, we’re still working. They, they, they is, and nights almost, uh, to make sure that we have this quality. Um, it’s true that, uh, you know, being an international player, uh, we ship product in, uh, close to 80 countries. So when we release a new product, uh, the last thing we want to do as a recall, you know, uh, so, so for, for example, I can speak about that one. One of the things that we did very early on, I remember, I remember this deck was probably 10 million at the time, uh, in overall sales. And we said, hey, we are really becoming a, um, uh, an international manufacturer, so we cannot go onsite if something is happening. So we decided to invest massively in a Q and A department in a quality assurance department. And this department in our R and d team, which is divided in for fair moire software, a hardware and quality assurance. I would say that we pay, of course, we invest a little bit more in firmware and software, uh, because of all the functionality of the product. But a quality assurance is, is, uh, an important department of our r and D and, uh, no product goes out on the market on testing. So this is when we designed a product, but also every single product that we manufacturer goes to a series of tests in our office. And when we detecting, uh, even some product are returning, believe it or not, we have some are made that first year very, very small. But every time we’re analyzing, it’s never a big issue, but always things that we can think for the next product to improve. And yes, you know, at the beginning when you, when we started to be an international manufacturer, we used to be stressed a little bit when we were, uh, expediting product all over the world. And now we’re trying to master it more and more. But Hey, technology is changing so much today we are, uh, you know, designing a controller with a loan works, uh, 32 bit processor, 80 bit processor and now going to eclipse Iep, 64 bit processor, many megs, many Gig, a gigabyte of a, of Ram of uh, and Bluetooth technology, Wifi technology. There’s so much test that needs to go on in our test room. We have hundreds if not thousands of controllers and when their research and development guy every night or going home, they push their latest release version and it’s all going to be tested at night. And this is from a hardware point point of view, but from a software point of view, it’s going also on computer racks with all the version of windows available and even others in order to test that night. And when they come back in in the, in the morning, they all see the test reports and they all see where to fix things. So there’s a lot of automated testing. Ken Smyers: Okay. Going on really and truly the, the, the growth it has to be based on successful components. And turning to the partner type of a part of the question with the systems integrators, tell us about some of the, the partners you have in your channel that led to the growth. M. Villeneuve: So, uh, we have about close to 500 partner, wild, wild, uh, partner and we say system integrator. We have distributor like you like Stromquist & Company, uh, but ultimately, uh, distributor also going to system integrator, you just have a tighter relationship with them. Um, and uh, yes, this uh, both the growth ofDistech Controls is coming from an innovation strategy on the product, but also an innovation strategy on the channel and how we, how we sell the product, how customer you get access to it. So it’s the open technology on both side, on the technology and on the sales. And also an end user can, is not locked with the product. You know, it’s an open technology. It’s, it’s, it’s either lonworks,,BacNet, MSTP, back net Ip rest, Api, Bluetooth, so all the open, uh, technology of the market so they’re not locked. So if they want to merge with another product, as long as the other product is open, it’s easy to be to be done. But also having a system integrator, integrator channel network that when a customer is, is, let’s say unsatisfied with the service of a partner, uh, he, he could always decide to go to another partner while keeping the product that it’s not necessarily the case with, uh, other, uh, BMS manufacturer that are, that have other strategy to go to market. Sure. So that, that has paid off a lot and it’s the close relationship between this deck and the channel partner. The system integrator is the trust that we haven’t been enabled to establish between ourselves. So we never let down any of our partner on the, on the, on the job. I have to say that, uh, we need to take our tank, our partner, because at the early beginning this tech was not that involved into the business development, to the end user, to the consulting engineer community in the market. Now we are much more so really our partner, uh, created us, created our growth and now we are arriving to a point where we want to wear this tech is helping as well because the more we go in class a a of the building type Os spittles higher education airports. So where we are servicing any type of project now we, I say we because I include the system integrator and when I say me and this needs sometimes the help of the manufacturer in order to close a, an important project, not always. So we have system that are, that can go to all the type of project by himself, but we always there always there to help. And it’s also a good thing that the system integrator knows that we’re there to help and not necessarily to take the project directly from them, but it’s be there as a manufacturer of product to make sure that they are competitive and they will be, uh, they will be effective in making the sponsor. M. Villeneuve: so, um, like I said, I think I, at the beginning of interview, uh, in the past we used to focus a lot on being a fast follower on the market. So enhance what people could get, uh, from other place, make it a better one. Uh, and now we are, we changed to leading the market and leading the market is not only on the usage of the product but also the usage by, uh, I would say integration point of view, but the users by the end user. So a lot of the product prove that in the last couple of years that we release, we release a unit touch, which is a slick, a wall divided center, face screen functionality, uh, multisensory Bluetooth, a lot of application as well, my personified. And that you can communicate with an app on your phone with the sensor on the wall or with the, uh, with the motion sensor on the ceiling in order to just to help the, the, the user experience. But the, they user, we need the end user. So we did a lot of voice of customer, uh, in the recent time in order to achieve that. And we want to push the pedal onto that, onto that aspect as well because more and more the end user are involved in, uh, the choice of the building automation system than they have in their building. Right? Most of the, and we talked about it prior to the interview, uh, and we’re talking about it a lot at this tech controls internally and externally of the three, three, three, three 3 -30-300 rules, right? You got, you guys are totally on that and we have a lot of end users that actually watch our show, believe it or not, even some csuite type folks. So, uh, this is a great opportunity for them to hear how you guys are rolling because their business is getting more competitive too, right? I mean, just to be able to hire people and have them come into the space, their space has to be a great space, has to be environmentally controlled properly and they have to have flexibility. So your mobile APP is phenomenal. I mean you guys are really hitting on it with that as you’re trying to attract millennials and to have that mobile app to be able to interface as a huge piece. The other thing that I think gives you guys a, a definite advantage is the psychological effect of light and what that has to do with productivity. And I know for example, one of the strategies that you guys taught us was hey we can use a light change in the temperature of the light is a first stage of heat or first age of cooling. And that saves energy. But at the same time being able to tune the lights throughout the day. And you know, there’s so much stuff you guys are doing in that regard. But a speak a bit about that if you look, cause I think that’s a huge, huge piece that are in end user customers are watching the show we’re going to hear about. Yeah. So uh, three three d 300 and then the link with the lighting, it’s very interesting. So three is the energy costs dirty as the cost of the rent and 300 is the customer, the people in the room. So more and more we were asked by an the building owner to say, hey, make me more efficient into renting my space, so make me more attractive. So what is going to be more attractive today for somebody who’s going to be a tenant? It’s basically a yes, that’s the volume of the space, the window, but also the technology. You know, why we’re buying a car today. Uh, I don’t think we want to buy a car and without the Bluetooth interface for our phone a little bit. The same concept for a building you want to buy. Do you want to rent a building which is not going to be able to communicate well with you? Maybe not. Especially if you have the choice. So if the building next door has, uh, is there as well? Almost same location but better connectivity? Yes. So we worked a lot on trying to save on the $3 a square foot a year. And in fact, we could work on a higher value, which is the $30 a square foot a year, and then the 300, uh, the 300 is the productivity of the people. So that’s why we’re releasing APP, you know? Yes. Uh, when you have an APP, you don’t have to walk up to the interface in order to change the level of lighting to change the blind. Uh, for example, now I sit, if I would like to close the blind, I would just have to play with my phone, boom, boom. And I, uh, uh, stop the glare to come in. So this is, this is productivity, but we’re going to push it much more than that. Uh, like you said with the integration of lighting with tunable white as a first stage of eat, the first stage of cool, this is a, this is more, I would say, and I’m at the same time. It’s more of cool stuff. We did implement it in our offices as well. So when people are are, are changing the set 0.2 plus one, we just blew wish the light and a little bit, uh, uh, in order to people to feel more cool or more warm. As a matter of fact, I know, I know the subway in Paris, you know, there’s no air conditioning or eating in this way and they have tuneable tunable white, so they may get a little bit more, they make it more blue, uh, in the summer, uh, in order for the people to feel cool and warm white during the winter in order to feel warm. So this is a proven, proven use of the technology. Also the circadian rhythm of the Sun as well that uh, we’re doing in office environment this year we are releasing a, through a unified platform in North America with enlite. So you’re going to have the eclipse controller in this room controller. It could be the V or a fan and coil, an interface of enlight. So being able to communicate with all the enlite devices and why this is important. It’s not only a dry contact or a zero to 10 volts. So enlight is opening up a whole set of, uh, lighting controls, devices and switches. And it’s not only for one room, it’s for the entire building. So acuity is the number one and two lighting controls as well. Not only the luminaire, but lighting controls and enlight is a predominant, uh, lighting communication into the market in North America. And so when you combine best of the breed in, in the BMS, sorry, I have to make my speech, of course not to do from a BMS market, which is a eclipse, a backnet and, and light together in the same unified environment. Wow. And then you put touch on the wall, you put, uh, envision on your, uh, to do your graphics and exactly. And all our devices have the DG logics engine built in Web server that we call an envision. So, uh, yeah. So what else would you want more? Well, morning. That’s why I was saying you all are setting the standard. I mean, I did in Europe for awhile too, and I’m ever coming back to the states in 1993. And no one understood shading control yet. I mean not to, you know, make it like a disparity. But Europe, they were already on top of the, the shades. One of the houses that I lived in for awhile, they used to have these things called [inaudible]. But the integration of lighting in the United States or North America as a whole has been kind of slow. I mean, it’s like because of the way the windows are made and the shading controls aren’t really given a lot of considerations. So some of the great features that you can integrate with your products, your eclipse and enlightened and envision aren’t, aren’t accepted. You can’t deploy them to a lot of buildings because of the, the building does not have the adequate, uh, components to make that a reality. Ken Smyers: So, um, we’re seeing some, some, some headway, a little bit of headway. We’re, did some product manufacturers, do you have, um, do you get the chance to influence the trade industries that the, the expos or whatnot, telling them how all these opportunities are there to integrate lighting and our new level of much, much more integral, granular level. If you just put motors or engines or whatever you’d call it, a control the lights in the shades and acolytes with the shades because any buildings, I mean I see new buildings going up and I can’t understand why they didn’t make that a part of the new building. These new buildings, we see specifications come out every day and I don’t think they’re North American engineering community is accepting that as well as, as, as quickly as they should because it’s such an integral aspect of, there’s so much more energy savings in such a greater level of integration. Do you see us getting progress or I mean is as an observation of you’ve made that for Europe versus North America? M. Villeneuve: Yes, and this is a good question. Uh, I lived in Europe for eight years as well, so I, I could observe the difference by myself. Uh, hand, uh, yes. In Europe I would say all the class a building without a doubt. There’s going to be a motorized shading controls in all of them. In North America, I would say that it’s, I don’t want to, I don’t want to, I’m going to give you a percentage, probably 10 to 10 to 15% of the building out of class, a AV motorized chain. Uh, we see them more probably than other players because we have a product to address that. So every time there’s a project that needs that were on it. So that’s why I will not say that it’s, uh, it’s not there. Yes, it’s there because we see it from, from a lighting integration, I’m impressed about, uh, the market change that is happening. So I’ve seen in many markets, many towns that mechanical contractor or making merge and acquisition with electrical contractor. So they’ve observed what’s going on from a product stressed strategy point of view, and they say, hey, if we want to capture the full value of that, we need to change. We need to change internally. We need to avoid the fact that there is always a mechanical alone from an electrical bid to maybe the same from a of a consulting engineer, but two different guides. So this is more moving. I at a slow pace, but it’s there, it’s there and again, qd are playing in that market. We see it more because every time somebody really wants to do lighting and dms integration, they call us first. So then we have uh, an overrepresented, Asians of the market they would say, but it’s definitely happening. Well, and the reason why, but it’s going to, it’s going to get really technical. Eric Stromquist: that’s great. Well, Martin, I had the wonderful experience about a year or two ago, so it’s probably changed a lot of actually going to the acuity, uh, lighting portion of it, seeing, seeing how you guys were integrating with acuity lighting and all. And I got to tell you for our audience out there, especially our retail type customers or retail type integrators, the stuff that you guys are able to do in terms of, cause they would have these different scenes right from a convenience store to an office space. And they were actually like little, little modules. And what you guys are able to do is you’re able to walk in and the lights automatically changed depending on, you know, the particular scene you want. But what kind of blew me away on the retail side anyway was if I go in front of the potato chips for example, in, in a, in a retail, a in like a grocery store type thing, then I could get a coupon immediately sent to me. I mean, it’s like, it seems like you guys have the ability to incorporate location and dwell time and then a corporate person from a business. In a marketing standpoint, it seems like you guys are more than just a controls company. I mean, you guys could be a big piece of a marketing strategy. M. Villeneuve: Definitely, definitely. So, uh, acuity and invest a lot into, uh, the becoming a technology manufacturer and technology provider. Then only a metal bender of lighting, if I can say so. Yeah. So, uh, the, the acquisition by acuity of this tech controls for the BMS technology, eclipse Ip, the acquisition of Bite light for the Bluetooth communication inside of the luminaire, the acquisition of geometry in order to do a soft software rendering of where the people are. Uh, so, uh, the, the heat map. So we call and DJ logics to enhance all the software capability of acuity are directly in a, were made toward the strategy of using the luminaire not only as a device, not only as a something that lit up the place and consume energy less than less over a year, but also being a strategic asset, being a beacon, being a Bluetooth, be again, not only, uh, also using visible light communication, you know, the led light have this unique capabilities of being able to blink at, uh, earth’s level at a rate that the eye is, couldn’t see. So this enabled it to communicate with the smart phones in the rooms. So that’s why we can call Isley locate a home in, uh, in a shopping mall, for example. So the re the retail experience that you have mentioned, uh, he has true, so this is working in many of the big box retail in northern America and every body, this parking, you know, all the, all the mentoring more put together in order to achieve the unique functionality of doing indoor location. So for example, the target, uh, we have target as, as, as a customer. They have an APP in which you’re going to do the shopping list and when you click enter entered the end. So it’s going to help you to find all the, where the, where the stuff is in order to optimize your time in the store. Not only optimize the customer time, but also optimize the refill time of the employee, a given formation to the manufacturer that supply those big bucks retail on how, where the people are in the store. So there’s many, many use that I could not even, but this technology is giving us that we’re taking that technology and we are also importing it into the BMS. So that’s why this year and this deck is going to release a full indoor positioning solution community out there. All the stuff Martin has talked to up until now. And one of the questions we wanted to ask you was what, tell us about this tech 2.0, I can’t imagine you could do anything else, but tell us about just tech 2.0 I’m totally blown away by this. This tech 2.0 so this tech 2.0 is, uh, basically, uh, we, we have updated the organizational structure inside of acuity, uh, about a year, a year ago in order to make a, this deck of fighting to make sure that this deck is serving, is working well within the acuity in order to share the technology but also keep it’s winning position in BMS market as well. So I had the plan, I and a pleasure to assemble a leadership team composed of industry expert compose of long time people and this deck, uh, in order to crank up the machine and say, hey guys, what’s next? How that we were a fast follower for many years we were becoming a leader with our eclipse technology. Now we cannot look anywhere else for our ids then with our customers, with our end users. Because unfortunately, and I hate to say it this way, we cannot look at our competitors anymore to leaders. So, uh, there’s many things that will come out of this deck. Like, uh, we, we had, uh, we had a tremendous partner conference in December in Miami in which we unleash the best tech 2.0 program. So this is about to double the company in three years. Uh, and, uh, with all the product line that we are launching, all the, the customer energy that is giving back to us create an unbelievable amount of trust and we’re in a good way to achieve it. So I love it. So if we have a little bit more time, I can talk about the new product which going to be released, but, uh, Martin I think, but I think our community would kill us if we didn’t give you time to talk about that. Ken Smyers: I just want to say one thing to Martin. I did not over exaggerate or embellish the compliments I gave you at the beginning of the show. Uh, it sounds to me like you’ve earned to every one of them. And by the way, I just want to throw this to before, I don’t get a chance. I went on your website too and it’s a great website. But if you go into the press releases that you guys have won an award about it every month of 2000, I mean you just, every month that you won the global standard for quality management systems, you won the enlite solution voted 2018 product of the year. Just that coasted, the Canadian ambassador to the European head office. I mean you guys are really on the move. I mean, and this is good stuff. Ken Smyers: So you got a great marketing department too because people like Eric has had said many times to declare it yourself was one thing. So if you say I’m the greatest, uh, and some of these are the best products and we make and whatever, that’s one thing. But if you get the recognition from third parties, from end users, from, from communities, from engineering groups, that’s really truly the accolades that sell because they’re not, they’re not self extubations or they’re driven by accomplishments and they’re driven by being compared against the competition and succeeding and winning prevailing. So he regulations. M. Villeneuve: Thank you for in the team. I’m going to take back this to the team. It’s not me. Well tell us about the product you started to tell us about Martin. A will. Can we hear a little bit about that? Yes. You know about the existing product lines are, when you look at that, you know when you showed this to an end user, your customer is what else, you know, what’s, what’s next. It seems that you have at all. And to put that perspective, you guys have the Ip controllers, which is awesome. You are able to connect them very easily with just a pog in module. So now you can go throughout the building wirelessly. So I mean those are things that in and of themselves you guys have sort of perfected. So yeah. So what is next Martin? What, what, what else could you possibly do? A, some of it our are at our continuous improvements, you know, in innovation by continuous improvement. We have already, uh, like, like I said, uh, at acuity we have the indoor positioning. So now we’re going to deploy because we have Bluetooth technology in our wall sensor and we have it on our ceilings answer, then we can deploy indoor positioning using the BMS infrastructure. So regardless if you have only a lighting product and then in the building or only BMS product in the building, you’re going to be able to deploy it indoor positioning. So this is going to be released, uh, in the next month. Then what do you do with indoor positioning? What do you do with the location of the people inside of the, of the office? So we wanted to provide an APP that will be used by the end user or the tenants in order to optimize their times. So, uh, how were, uh, to, to know if the conference room are used? Uh, so we, we know it because we have the ender positioning, uh, to know where to go to a conference room. You know, in big campuses sometimes you have a meeting at 10, it’s already nine, four, five. And whereas this room, so if you’re going to have a guide that pat then report incident, uh, there’s a broken something in the building and since you are Geo localized you can report the sentence. So a lot of those application are going to be added to a, what we call my personify a APP, which is going to be called nine. Now my person, if I workplace, cause he brings up a great point. There’s no, this is a great product. He’s got a great partner thing. But now because the hardest thing for all of us as to promote ourselves, now you’re doing this special thing for your partners where you’re putting a spotlight on them and creating these incredible press releases. So talk to your talk is about what you don’t for your partners. Exactly. So Lawrence Scott is our director of marketing and communication. She’s doing with her team a wonderful job. So we tasked her to say that, hey, now we need to communicate not only what our system integrator, but the entire community, the influencer, the end user, the consulting engineers, and the contractor. So, uh, we’re having a program in which we did that in Europe a lot. You know, when we were having one of those big towers opportunity, we did a press release and promoting as much out as our technology. Then also our partner, the system integrator. And as a matter of fact, we consulting engineer or the, uh, the owner or the builder of this building, like a lot, this promotional activities that, that we do. So next, uh, next month, which isn’t a couple of weeks now, we’re doing our first one in North America. We’re going to be in Washington at the five, five, five 12th street, a JLL bill building, executed by our, a longterm partner, a smart VT in Washington. And uh, we’re doing a press release. I think you guys are going to be there. The press is going to be invited. Uh, it’s, it’s called by Jll as the most connected building in North America. So we didn’t want to see this. We want to, uh, to expose that to the community. And we’re going to have around, uh, on a monthly basis of buildings like this, which are going to be promoted and shown to all the community. So this is our little contribution we can make on the market to make education on a connected buildings. Wow. Wow. So you’re hitting all the bases. You got the product, your influence in the marketplace. You’re thinking beyond just the bas system where now it’s becoming part of a business. I mean, seems like to have your system is now a business tool. If I’m an owner, this is up and I can, I can make my building more marketable. 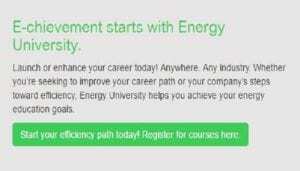 I can save energy, I can reduce the operational costs. And then on top of that of him assistance integrator, you’re going to get me some great press. What do you, what, how are you going to top this Martin? Ken Smyers: Well, we don’t want to forget our system integrator, you know, and they are the one who made us, uh, to this point. So we want to make sure that we develop a community. And we develop tools for our system integrators. So we’re having this program called bid La city x. So this is a velocity x on, you know, it’s the word velocity, make sure that they get speed, uh, you know, with the, uh, the current challenge everywhere in the world, but especially in the more in North America to find experience resources engineer to uh, to do the project, to do the work. So we want to simplify all of this what by a set of tools. So we already have a lot of little tools one by one, but now integrating them into a platform that will be new website, a forum, new ECON, ecommerce and vex, which is a virtual and generating experience, which, uh, that will help the Osi to engineer all the project from the estimations of middle and generating programming down to the, to the warranty and service in a cloud platform. This is going to be available to our sis. So we have our VP of customer experience, Matthew, which is leading us in this wonderful effort. Eric Stromquist: Oh Martin. Fantastic. Well listen, it has been such a pleasure having you on the show. We got to get you to come back when you come back. Maybe, you know, at least twice a year, maybe once a quarter. I know you stay busy, but, uh, I think our community is really going to enjoy this interview. M. Villeneuve: I appreciate it. I appreciate your time and it’s nice to be able to have a foreign to expose what we try to do our best. And uh, yeah, we, we, we love, we have the passion about what we do and this is what motivate us, our customer and our passion motivate us on a, on a daily basis. Just want to end the interview by saying that this tech 2.0 this year when we released it, uh, it was about, uh, around three teams and the teams are very near and dear to my heart, trust, energy, and grow the trust we have with our employees and customer. The energy we put in, everything we do and then the growth mindset. So never, never think that, never take anything for granted and never always tried to grow it. Ken Smyers: Well, you know what, Martin? Uh, there’s a same we used to have around strong question company, which is if better is possible, good is not enough. So, uh, I love it. Martin, thanks so much. Distech controls.com is the best website, correct? Yes. All right. My friend. Wonderful jumps for a new community. You’re the, you’re, you’re the man, you’re the guys, the reference in our, in this result. Thank you for being there and continuing to do what you do. Thank you so much. I’m so impressed with what this text up to a one Martins to him and they really seem to be capturing them. Well we’ve had Ken Sinclair on a lot and he’s talking about the environment and making the building more so sort of eco friendly. You know, we’ve talked about the three, 300, three $3,300 rule and it sure seems like this tech has been paying attention and is sort of structuring their products, rolling out products to sort of meet that need. M. Villeneuve: Couldn’t agree with you more because the uh, you know, the way I see it, there’s, there’s a lot of the, there’s a lot of global gullibility, you know, it was products, platforms or whatever, but when you actually can take the best of technologies from around the world and you know, synthesize them into one offering that really delivers the total room, you know, integration and then bring it down to the levels that people can buy it and put it in and make it reasonably priced and then have a network of competent integrators and then have a distribution channel is being formed. You’re really setting a new standard. You set a new pace. So I’m really just really impressed and I see a couple of other companies falling global reach with the global products, putting them all together in one package, one front end to really delivering a total room automation, a total room integration. We’ll be talking about that. Ken Smyers: Oh, more and more. Yeah. We’ll be having more, more people coming on. We’ve got Siemens coming on in the next couple of weeks. They’re one of the people that are pointing that way. Mark, Pete Talk and, and the team at link springs doing a lot of that stuff easy. I of course will be at their conference, but uh, but again, I, I think we need to just pause for a moment and give our friend Ken Sinclair’s shout up cause you know, can’t spend sort of calling the shots right? If you were a viewer, a Gambler, remember back in the days we had Jimmy, the Greek king for our, our younger listeners, you might not know who he was, but he was an NFL analyst and he would always give you the, you know, the, the lie and the, you know, the betting lines and how to bet we give you tips. And he was accurate more often than not. So, uh, I don’t really got to rename Ken Notredame Auto Sinclair to Ken Notre Domus auto Sinclair can the Greek Sinclair queer. But uh, but again, shadows to Ken, Ken men, you, you’re really making a lot of good calls. Have you haven’t checked out automated buildings.com April issues that we talked about it on last week show. But this is a guy you want to pay attention to it and you want to follow us. We can. We’re glad we know your brother. Eric Stromquist: Gina Elliot from EASY IO, you absolutely want another one of my favorite people. And then Josh Bradshaw, the king of Silicon Valley. Josh, you know, thanks for that video you sent us earlier in the week. Uh, where he sort of broke down the history of pneumatics told me something I didn’t know, but you’d have to go to the control trends youtube channel to see that one because we’re not posting that on controlled trends and sort of gets back to a theme. We’re trying to post more and more content. We get it up quicker on the youtube channel. So if you haven’t already subscribed to the control trends, smart buildings, youtube channel, we’ll put a link in the show notes for you. But a good stuff from Josh share to anybody. I just want to shout out to buddy. Eric Stromquist: right. All right buddy. We’ll listen. So good stuff. So I’m reading one called the talent code is one of the most incredible books ever read. And uh, I encourage you to check that out, but basically hits, how come all the soccer players in Brazil are so good? How come certain parts of Russia that have nothing dilapidated facilities produce the greatest tennis players in the world has it gets into some things that will surprise you. Uh, it’s a great book capital link to it. Well, that sounds like a Malcolm Gladwell’s book. The tipping point and all that is, is, is kind of like that. It goes deeper than that and there’s great news there. Okay. The great news, they give you a tip of something called deep practice. And that doesn’t mean that you’re practicing a long time, but, uh, ah Ha. She just give it away. But anyway, we’ll do it. Ken Smyers: Job. It sounds like DNA though too. It sounds like there’s a little, no, no, no, no, no, no, no, no. DNA at all. That’s it. It’s not DNA. It’s not environment has nothing to do with the things that conventional wisdom say. It does. It’s duplicatable. So, uh, you go to the Olympics w well, yeah, you could. I mean, a lot, most of the Olympic people, I mean, in other words to that, you know, success leaves success leaves clues and uh, yeah. Uh, so here, right. I’ll give you a piece of it real quick. So there was a high school English soccer coach back in the 60s who could not figure out why Brazil was producing the greatest soccer players in the world. So he took some money out. He went down to Brazil to study. He thought they were gonna have these elaborate training facilities. He thought it was DNA. He thought it was everything else. Right? But he began to watch. And the thing was because they were impoverished, they really couldn’t afford fields they couldn’t afford, you know, a lot of soccer balls. So they spent 95% of their time performing in equivalent of our practicing and equivalents rooms. They would have these scrimmages be like indoor soccer. They used a bigger, heavier ball that was harder to maneuver. Okay? So that’s how they play to when they actually got on a big field, they could do stuff that nobody else could do and it, but it was sort of that restrictive process, right? So they were using the heavier ball restricted thing and they were just doing the drills over and over and over and over again. So the good news is there’s a, there’s a substance called Myelin in our body and don’t want those connections get made. That’s what allows a Michael Jordan or smiley to be so great. So here’s what was interesting. The size school coach comes back, he goes back to England and he says in Liverpool, he goes, yeah, this is how we’re going to start a practice. And He created an academy. Everybody laughed at him, said, you’re not getting, you know, come on. He put 14 year old kids do it and five years later, virtually every single one of them is top performer. Not to just in the English league but worldwide. So, so it’s, it’s how you practice and a, there’s probably a correlation to this to what we’re to control talk now in Hvhc smart building controls. So if you can come up with those correlations for me and helped me out of this, what do you can comments and I’ll give you a hat too. Hey, I like it. That’s good stuff. I, I always enjoyed the, the, you know, the, it’s not something fun about reading and becoming wiser from it. I mean it’s just a very pleasant experience and knowledge. Always did like three and always will but good stuff. Eric Stromquist: Yeah. So listen what that special thanks to our guests this week, Martin Villeneuve from Distech Controls.. Keep on doing what you guys are doing and to our audience out there, we appreciate you. Subscribe to the Youtube Channel. Reach out and comments when a hat helped me out with a correlation between the talent code in HVAC and Smart Building Controls and would that Kenny Smyres I will say, remember, be bold, stay in control and be relevant. Indeed. Eric, this thumb thing. PITTSBURGH, March 29, 2019 /PRNewswire/ — Global safety equipment manufacturer MSA Safety Incorporated (NYSE: MSA) today announced that it has entered into a definitive agreement to acquire California-based Sierra Monitor Corporation (OTCQB: SRMC) in an all-cash transaction valued at approximately $33 million. The acquisition accelerates MSA’s strategy to enhance worker safety through the use of cloud technology and wireless connectivity, while supplementing the company’s organic investments in software-as-a-service applications, including its recently established Safety io™subsidiary. Based in Milpitas, Calif., in the heart of Silicon Valley, Sierra Monitor is a leading provider of fixed gas and flame detection (FGFD) instruments and Industrial Internet of Things (IIoT) solutions that connect and help protect high-value infrastructure assets. Typical uses for Sierra Monitor technology include wastewater treatment facilities, light manufacturing, transportation infrastructures, and HVAC applications. Sierra Monitor has annual revenue of approximately $20 million and approximately 80 employees. “We’re excited to have the opportunity to add Sierra Monitor to our core product portfolio and we look forward to welcoming the Sierra Monitor team to MSA,” said Nish Vartanian, MSA President and CEO. “Today’s agreement effectively fast tracks the timetable for our Safety io subsidiary to expand into infrastructure applications for our FGFD systems,” he said. In addition to connecting its own line of FGFD devices, Sierra Monitor’s IIoT solutions – marketed under the FieldServer brand – have extensive protocols to facilitate the connection of a broad array of infrastructure assets, such as boiler controls, chillers, lighting controls and any equipment that is integrated into a typical building management system. With a strong track record of innovation, Sierra Monitor has combined industrial sensing and automation with emerging technologies to provide IIoT solutions that connect and protect high-value infrastructure assets. Sierra Monitor’s revenue base is evenly split between FGFD instruments and connectivity gateways that enable original equipment manufacturers and systems integrators to locally or remotely monitor and control fixed infrastructure assets. Sierra Monitor’s FGFD devices – branded as Sentry IT fire and gas detection solutions – protect personnel and facility infrastructures across a range of applications including wastewater treatment, alternative energy vehicle fueling and maintenance, and the oil and gas industry. MSA Senior Vice President and Chief Financial Officer Ken Krause, who leads the company’s corporate development activities, commented, “As we look at our corporate strategy and where the safety market is headed over the long term, we see connectivity as an important differentiator.” Mr. Krause noted that MSA’s global installed base of FGFD systems consists of hundreds of thousands of instruments across the world. “The Sierra Monitor acquisition not only provides the opportunity to start to bring those instruments into the Industrial IoT, it enhances and supplements the organic investments we’ve been making in connectivity applications and software-as-a-service offerings,” he said. The transaction is expected to close in the second quarter of 2019, subject to customary closing conditions. With approximately 85 percent of its revenue from the U.S. and Canada, Sierra Monitor’s financial results will be primarily reflected in MSA’s Americas business segment. Established in 1914, MSA Safety Incorporated is the global leader in the development, manufacture and supply of safety products that protect people and facility infrastructures. Many MSA products integrate a combination of electronics, mechanical systems and advanced materials to protect users against hazardous or life-threatening situations. The company’s comprehensive product line is used by workers around the world in a broad range of markets, including the oil, gas and petrochemical industry, the fire service, the construction industry, mining and the military. MSA’s core products include self-contained breathing apparatus, fixed gas and flame detection systems, portable gas detection instruments, industrial head protection products, firefighter helmets and protective apparel, and fall protection devices. With 2018 revenues of $1.4 billion, MSA employs approximately 4,800 people worldwide. The company is headquartered north of Pittsburgh in Cranberry Township, Pa., and has manufacturing operations in the United States, Europe, Asia and Latin America. With more than 40 international locations, MSA realizes approximately half of its revenue from outside North America. For more information visit MSA’s web site at www.MSAsafety.com. Headquartered in the heart of Silicon Valley in Milpitas, Calif., Sierra Monitor was founded forty years ago (in 1978) and has been a public company since 1989. Recently named a “Top Place to Work” in Silicon Valley, Sierra Monitor combines a distinguished track record in industrial sensing and automation with IoT technologies such as wireless, cloud connectivity, and data services. As a result, Sierra Monitor is at the forefront of the emerging IIoT trend. The company’s vision is to capitalize on the expanding worldwide demand for knowledge-based products and services that improve operational performance, productivity, efficiency and safety in building automation, industrial, and military applications, while reducing demands on resources and energy consumption. Except for historical information, certain matters discussed in this press release may be forward-looking statements within the meaning of the Private Securities Litigation Reform Act of 1995. Forward-looking statements include but are not limited to all projections and anticipated levels of future performance, the expected timetable for completing the transaction, benefits and synergies of the transaction, future opportunities for the combined company and any other statements about MSA’s and Sierra Monitor’s managements’ future expectations, beliefs, goals, plans or prospects. Forward looking statements involve risks, uncertainties and other factors that may cause our actual results to differ materially from those discussed herein. Any number of factors could cause actual results to differ materially from projections or forward looking statements, including without limitation the ability to consummate the transaction, risks that the conditions to the closing of the transaction are not satisfied, litigation relating to the transaction, the ability of MSA to successfully integrate Sierra Monitor’s operations and employees, unexpected costs, changes or expenses resulting from the transaction, risks that the transaction disrupts the current plans and operations of MSA and Sierra Monitor, the ability to realize anticipated synergies and cost savings, competition from larger and more established companies in Sierra Monitor’s markets, MSA’s ability to successfully grow Sierra Monitor’sbusiness, potential adverse reactions or changes in business relationships resulting from the announcement of the transaction, the retention of key employees, global economic conditions, spending patterns of government agencies, competitive pressures, product liability claims, the success of new product introductions, currency exchange rate fluctuations and the risks of doing business in foreign countries. A full listing of these risks, uncertainties and other factors are detailed from time-to-time in our filings with the United States Securities and Exchange Commission (“SEC”), including our most recent Form 10-K filed on February 22, 2019. You are strongly urged to review all such filings for a more detailed discussion of such risks and uncertainties. MSA’s SEC filings are readily obtainable at no charge at www.sec.gov, as well as on its own investor relations website at http://investors.MSAsafety.com. 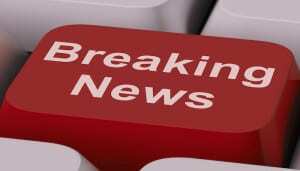 MSA undertakes no duty to publicly update any forward looking statements contained herein, except as required by law. Episode 222: ControlTalk NOW — Smart Buildings VideoCast|PodCast for week ending Apr 23, 2017 features interviews with DLR Groups’ Ruairi M. Blackwell; Drew Mire, CEO of Computrol; and Scott Cochrane, CEO of Cochrane Supply. Big, big week in the HVAC Industry — several new products and releases from Honeywell, Belimo, Sierra Monitor Corporation, and KMC Controls reminds of their last order date. 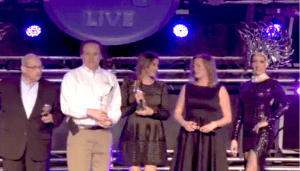 Johnson Control named 16th Best Corporate Citizen and Lynxspring receives Frost & Sullivan Excellence Award; Memoori – Cimetrics Podcast: Creating transparency from Building Analytics; and Fulham acquires Control Network Solutions. ControlTalk NOW’s first guest interview is with Ruairi M. Blackwell a principal with DLR Group’s Chicago location. 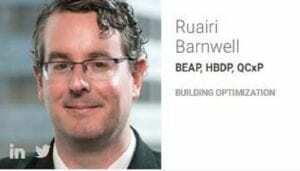 Ruairi leads the Building Optimization enterprise within the firm. In this role, Ruaiari is responsible for growing Building Optimization as a distinct DLR Group service area while contributing his expertise in high performance building design to benefit clients in the firm’s core market sectors. Ruairi is a respected high-performance building design expert and his aim is to elevate the built environment and restore order to the climate for future generations. Additionally, Ruairi specializes in commissioning services for new and existing buildings, building energy assessments, high performance building design, energy modeling/advanced building simulation, and measurement and verification consulting. Frost & Sullivan Applauds Lynxspring’s Strategic Thought Leadership and Technical Excellence, Making it a Top Contender in the Smart Buildings Market. SANTA CLARA, Calif., April 18, 2017 /PRNewswire/ — Based on its recent analysis of the Internet of Things (IoT)-enabled smart buildings market, Frost & Sullivan recognizes Lynxspring with the 2017 North American Award for Competitive Strategy Innovation and Leadership. Belimo Proudly Announces New Products and Innovations for 2017 — Get Your Access to New Pricing and Media Files. 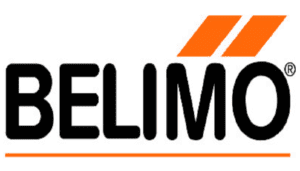 For over 40 years, Belimo has successfully focused on the heating, ventilation, and air conditioning markets. Our relationships with you and our employees are based on trust and adding value with a focus on sustained prosperity rather than short term gains. Our innovative products have always been designed to help you achieve your objectives better, faster and more economically. Investing in new technology has been a key to our success and Belimo proudly announces these new products and innovations for 2017. 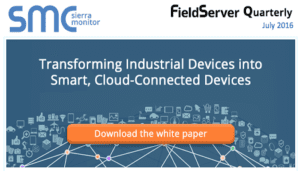 Sierra Monitor Corporation Launches Cloud-Connected Network Discovery and Management Appliance for Facility Automation. 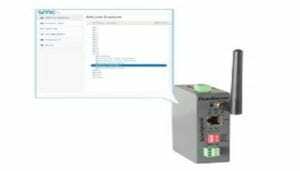 BACnet Explorer NG appliance enhances device and network commissioning and integration for installers and system integrators. MILPITAS, Calif., April 18, 2017 — Sierra Monitor Corporation (OTCQB:SRMC), a provider of Industrial Internet of Things (IIoT) solutions that target facility automation and facility safety requirements, today announced the availability of the BACnet Explorer NG, the industry’s first cloud-connected network discovery and management solution for BACnet networks. Creating Transparency From Building Analytics. Great stuff from Memoori. Our friend Therese Sullivan, from Building Context, turned us on to this great Smart Buildings Resource. 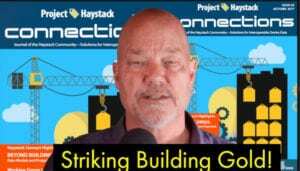 Here is the Audio Stream from the 4th Free Webinar in the 2017 Smart Buildings Series, sponsored by Project Haystack. Creating Transparency From Building Analytics. This was an in-depth Q&A Webinar with James Lee CEO & President of Cimetrics. We discus Jim’s recent article “Analytics Creates Transparency” and his thoughts on why he thinks analytics is the key that the industry has been waiting for to unlock the true business value from building technologies. 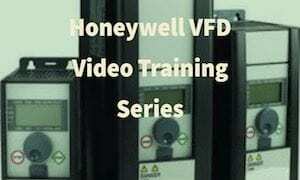 Honeywell Introduces New and Improved Variable Frequency Drives. Honeywell is pleased to announce the introduction of the SmartVFD HVAC2 line of Variable Frequency Drives (VFDs) available to all Commercial Distributors. 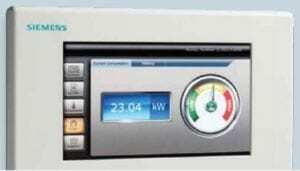 This new offering provides a reliable, high-performing VFD that minimizes HVAC energy consumption on fans and pumps. Honeywell’s SmartVFD HVAC2 provides maximized energy savings and monitoring capabilities at an affordable price, with quality products backed by a strong 3-year warranty and solid technical support. Fulham Acquires Control Network Solutions to Bring DALI® Control to Customers for Emerging Smart Lighting Products. CNS’s Smart Light Management Software and Technical Expertise Helps Fulham Meet Growing Demand for DALI-enabled Clever LED Drivers and Smart Lighting Controls. HAWTHORNE, Calif. – April 19, 2017 – Fulham Co., Inc., a leading supplier of lighting components and electronics for commercial and specialty applications, today announced the acquisition of the assets of partner company Control Network Solutions (CNS), the UK-based creator of the elitedali™ smart lighting control and management system. ControlTrends Award Highlight: 2016 Peripheral Product of The Year. 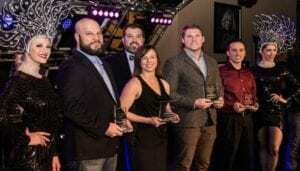 Catch all the excitement as Smart Building Controls Powerhouses Contemporary Controls and Functional Devices are Awarded the Peripheral Product of The Year. Contemporary Controls designs and manufactures the system building blocks for networking, integrating and controlling automation processes where performance and reliability are important. Functional Devices, Inc. has been designing and manufacturing quality electronic devices in the United States of America since 1969. 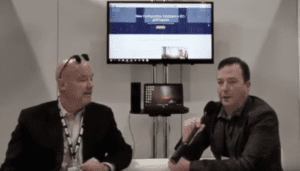 ControlTalk NOW second guest interview is with Computrols’ CEO, Andrew Mire, who took the helm of VP of operations in 2014, and was promoted to Chief Executive Officer in 2017, where he manages corporate operations, Computrols’ dealer program, and remote job operations. 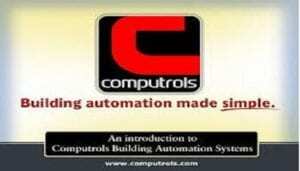 In 1983 Computrols began providing first-rate professional technical service for large building automation systems. A complete dedication and commitment to customer satisfaction has provided valuable lessons that have carried the company for years. Simplicity, flexibility, and power are the Computrols cornerstones of success, and it is this first-hand knowledge of what’s important to customers that drives product development even today. Hanging Out with Scott Cochrane at the 2017 AHR Show. I had a chance to catch up with one of the smartest people in Smart Buildings controls at the Distech booth. Check out what Scott Cochrane had to say about Building Automation Controls, why Cochrane is now handling Distech Controls, and the CONTROL-CON 2017 Event hosted by Cochrane Supply & Engineering, CONTROLS-CON will take place June 8th and 9th, 2017 at the MotorCity Casino Hotel in Detroit, Michigan. This fast-paced, education-packed event will bring together hundreds of integrators and end users from throughout the United States and Canada to explore the latest technologies and possibilities of Building Controls and the Industrial Internet of Things (IIoT). 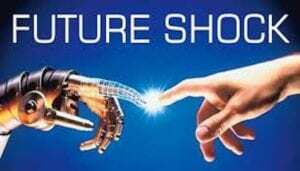 Future Shock: Something to think about! Excerpt: Artificial Intelligence: Computers become exponentially better in understanding the world. This year, a computer beat the best Go player in the world, 10 years earlier than expected. In the US, young lawyers already don’t get jobs. Because of IBM Watson, you can get legal advice, (so far for more or less basic stuff), within seconds. With 90% accuracy, compared with 70% accuracy when done by humans. So, if you are studying law, stop immediately. There will be 90% fewer generalist lawyers in the future; only specialists will be needed. What: System integrators and installers use traditional BACnet Explorers to assist with commissioning sites with BACnet networks. These BACnet Explorers are typically tied to one local PC. Integrators and installers go in, do their job, and leave (with the occasional call-back for maintenance). The Explorer experience for integrators and installers doesn’t have to be that mundane. Have you ever thought if there were a way to access the software from other non-PC devices; a way to manage the site remotely; or a new, intuitive way to monitor and track device data to provide new business opportunities? Step up to the world of our BACnet Explorer NG and discover your BACnet network like never before! SMC Product Manager Richard Theron will provide an in-depth look into our BACnet Explorer NG hardware and software appliance to demonstrate why all integrators and installers should look to add one to their integration toolkit and add more value to their services. Episode 214: ControlTalk NOW — Smart Buildings VideoCast|PodCast for week ending Feb 12, 2017 features highlights from the 2016 ControlTrends Awards including the Women of the Year Award co-winners Johnson Controls’ Renee Joseph and Tridium’s Jenny Graves. Congratulations to 2016 PID Award Winner, Sarah Monteleone from Connect-Air International and the 2016 Young Gun Recipients. 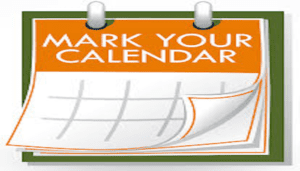 Get the latest on Sierra Monitor’s and Lencore’s Sound Masking Technology; registration for Lynxspring’s next 30 Minute webinar; Early Bird registration for the 2017 Haystack Connect has been extended till February 28th, and keep current with industry events with Ken’s Calendar. 2016 ControlTrends Awards Woman of the Year Co-winners: Renee Joseph, Johnson Controls and Jenny Graves, Tridium. 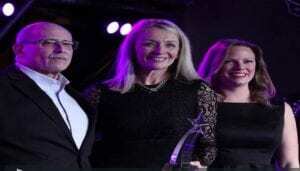 One of the truly great highlights of the 2016 ControlTrends Awards, was Jenny Stentz and Gina Elliott presenting the newest ControlTrends Awards category, the Woman of the Year. 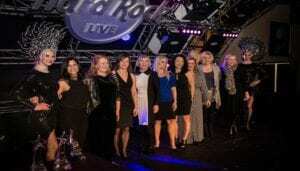 Twelve of the most distinguished and successful women in the HVAC and Building Automation industries were recognized for their outstanding career achievements: Sarah Monteleone, Connect Air; Renee Joseph, Johnson Controls; Lisa Hickey, Belimo; Angie Jarvis, ProLon; Jenny Graves, Tridium; Amy Doran, Alerton; Annette Clayton, Schneider Electric; Laura Kevitt, Vykon; Monica Ferraro, Distech; Ruth Hershey, Siemens; Lindsay Baker , Comfy; and Therese Sullivan, buildingcontext.me. From this amazing group of women, special congratulations to the 2016 ControlTrends Awards Woman of the Year Co-winners: Renee Joseph, Johnson Controls and Jenny Graves, Tridium! Once Again, — See You Next Year in Chicago! 2017 ControlTrends Awards will be in Chicago, January 21, 2018. Once again, a very special thanks to our 2016 ControlTrends sponsors; Co-Master of Ceremonies, Marc Petock, Kim Brown; and the incredible Production, Audio, Video, and Logistic support from Rob Allen, Michael Bonner, and Stacie McCammon. We could have not done it without all of your help. See you in Chicago! Haystack Connect 2017 Early Bird Registration Discount — Extended to February 28, 2017. Haystack Connect 2017, MAY 8TH – 10TH, 2017, Saddlebrook Resort Tampa & Conference Center. Early Bird Registration Discount: $795! The Early Bird Registration Discount expires at midnight on February 28th. The standard Registration fee is $895. The Haystack Connect 2017 Conference will once again, bring together systems integrators, technology providers, A&E firms, OEMs and end users who are leading the way to advance smart-device applications and the power of data that is helping to create more efficient, sustainable built environment and streamline the interoperation of the systems and devices that permeate our modern world. 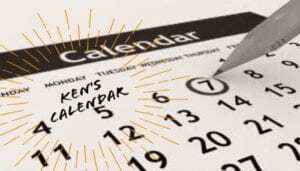 Ken’s Calendar: New 30 Minutes with Lynxspring. This just in from Lynxspring: The next “30 Minutes with Lynxspring”, our monthly webinar series featuring Lynxspring subject-matter experts and special guests, continues Wednesday, February 15th at 12:00 PM CST. There is a lot going on within our industry and at Lynxspring. In this monthly edition, I will look at What’s Ahead – what’s ahead in the industry and what’s ahead at Lynxspring. When: Wednesday, February 15, 2017. Time: 12:00 PM – 12:30 PM CST. Register: Click here to register online for this “30 Minutes with Lynxspring” Webinar on February 15, 2017, 12:00 PM CST. After registering, you will receive a confirmation email containing information on how to join the webinar session. Please contact Lynxspring if you have any questions. Call Toll Free: 877-649-5969 or send an email to: marketing@lynxspring.com. In The News: Sound Masking Technology improves employee productivity by creating personal audio spaces and stopping noise pollution. Looks like our friends at Sierra Monitor and Lencore are finding another innovative way to help reduce the spend on the $300 side of the 3-30-300 dollar rule. Having two small children, I am hoping the home version of this comes out soon. This just in: Sierra Monitor Corporation (http://www.sierramonitor.com ) and Lencore (http://www.lencore.com) are creating unique “private audio clouds” for open office environments and medical facilities. Lencore’s sound masking solutions for modern workplaces, along with emergency notification solutions, make workplace environments safer and more productive. In addition, Lencore’s sound masking solutions are used in medical offices and other facilities where privacy and confidentiality is important. Congratulations to the 2016 ControlTrends Awards Young Gun Recipients. ControlTrends is extremely proud of the Young Gun Awards and what we believe to be another important industry initiative to draw young talent to our industry. There is no better way to enhance the image of the HVAC Industry than recognizing young professionals — who, early in their careers, have already made an important contribution or significant impact within their organization — that serves well as career role model. We need to collectively seek parity and positive recognition for our HVAC industry and attract more of the young minds and talent needed to sustain our industry in the years to come. We look forward to the continuing support of the ControlTrends Community to help us identify next year’s Young Guns. Looks like our friends at Sierra Monitor and Lencore are finding another innovative way to help reduce the spend on the $300 side of the 3-30-300 dollar rule. Having two small children, I am hoping the home version of this comes out soon. Sierra Monitor Corporation (http://www.sierramonitor.com ) and Lencore (http://www.lencore.com) are creating unique “private audio clouds” for open office environments and medical facilities. Lencore is integrating Sierra Monitor’s FieldPoP device cloud and connectivity technologies to enable facility managers, installers, and support professionals to remotely set up, maintain and control Lencore systems in offices, buildings, and facilities worldwide. The secure remote connectivity provided by Sierra Monitor makes it easier for facility managers to set up and manage these private audio spaces. The sound masking technology uses white noise and “pink” noise to cancel out unwanted sound from the surrounding environment, ensuring privacy and enabling the worker to concentrate better and become more productive. In addition, the system also enables security personnel and management to securely send critical messages as needed. Sound masking involves the strategic placement of sound sources and unobtrusive “pink noise” to reduce distracting noises and increase privacy within a space. Currently, it is estimated that the healthcare segment makes up between 20% and 25% of the sound masking industry—and that sound masking can help to reduce noise distractions by as much as 35% to 40% in any given space. Furthermore, sound masking technology has evolved to allow the integration and zoning of paging and background music. Through proper design, a healthcare facility is able to get three systems in one. If you find this interesting, I would be happy to set up a follow up phone call with SMC & Lencore executives. 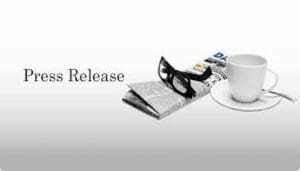 MILPITAS, Calif., Jan. 27, 2017 (GLOBE NEWSWIRE) — Sierra Monitor Corporation (OTCQB:SRMC), a provider of Industrial Internet of Things (IIoT) solutions that connect and protect high-value infrastructure assets, today announced that Lencore, an innovative provider of comfort and safety solutions to modern commercial workplaces will use the FieldPoP device cloud as a foundation for its cloud strategy. Modern workspaces are moving towards open and flexible environments, but the need for collaboration must be balanced with the employees’ need to focus on individual tasks. Additionally, shared and open workspaces must not compromise safety. Lencore, based out of Woodbury, New York, offers sound masking along with emergency notification solutions to modern workplaces as to make them more productive and safe. Each installation consists of a head-end controller that networks with input sources like microphones, telephones, music systems, fire alarm systems and public emergency notification systems, and output devices such as speakers, visual indicators, and paging horns distributed across the facility. Typically, the head-end controller is accessed, managed, and supported by the installer and the facility manager locally within the facility. However, Lencore is introducing a “FieldPoP-Enabled” connector in their next-generation head-end controller that will automatically and securely register and connect the controller to the FieldPoP device cloud over the facility’s Internet connection, thereby creating a virtual instance of the physical controller. Facility managers, installers, and Lencore support professionals will be able to remotely interact with their assigned systems through the FieldPoP device cloud. The benefits of secure remote connectivity are manifold. Individual employees can make changes to their personal spaces, security personnel can use it to send critical messages, and facility managers can make configuration changes and perform preventive maintenance upgrades remotely. To learn more about how OEMs use the FieldServer IIoT gateway and the FieldPoP device cloud, please visit www.sierramonitor.com/iiot-empower/fieldpop-fieldserver. The company’s FieldServer brand of protocol gateways is used by system integrators and OEMs to enable local and remote monitoring and control of assets and facilities. With more than 200,000 units, supporting over 140 protocols, installed in commercial and industrial facilities, FieldServer is the industry’s leading multi-protocol gateway. Sierra Monitor’s Sentry IT fire and gas detection solutions are used by industrial and commercial facilities managers to protect their personnel and assets. Sentry IT branded controllers, sensor modules, and software are installed at thousands of facilities such as natural gas vehicle fueling and maintenance stations, wastewater treatment plants, oil and gas refineries and pipelines, parking garages, US Navy ships, and underground telephone vaults. Milpitas, California – November 17, 2016 – Sierra Monitor Corporation (OTCQB: SRMC), a provider of Industrial Internet of Things (IIoT) solutions that connect and protect high-value infrastructure assets, today announced that its industry-leading BACnet gateways, routers, and network explorers are now “IIoT-Empowered out-of-the-box” and are shipping with new software that allows customers to securely register, access, and manage their field-installed products from Sierra Monitor’s FieldPoP device cloud. By seamlessly and securely bridging BACnet-based facility networks to the cloud and using FieldPoP as a portal, facility managers and Original Equipment Manufacturers (OEMs) of industrial devices such as sensors and controllers, can remotely service and support devices and gain operational insights to improve the facility’s comfort, safety and energy efficiency. Sierra Monitor’s line of gateway products including the EZ Gateway and QuickServer products are used by OEMs and integrators to connect devices that speak a variety of protocols such as Modbus, SNMP, LonWorks, N2, M-Bus, KNX, and more than a hundred other proprietary protocols to BACnet-based networks and management systems within a building or facility. Additionally, Sierra Monitor’s BACnet Router connects BACnet devices to BACnet/IP backbones, while the BACnet Explorer assists with installation and troubleshooting by discovering devices and data points on building and facility networks. The newly-released software enables all of Sierra Monitor’s gateways, routers and explorers to be securely connected to the FieldPoP device cloud with just a few clicks. In addition to serving as a service management portal, FieldPoP also serves as a data middleware layer that collects IIoT device data from the field and lets third-party applications incorporate that data in business and analytics applications. As a result, OEMs and facility managers can gain new insights leading to improvements in product quality, innovations in products and services, and identification of new revenue opportunities. Customers who choose to take advantage of the pre-built integration between FieldServer products and the FieldPoP device cloud have a choice of “Freemium” options. Basic connectivity to the cloud over the Internet and the ability to remotely run the standard web user interface available on the FieldServer products are part of the standard package. Value-added “fog applications” that run on the FieldServer products such as a dashboard view of field devices and data, trend logs, control logic applications, data uploads to the cloud for long-term analysis, and real-time alerts and notifications to authorized personnel are offered as premium features. The ProtoAir wireless gateway is an external, high-performance, low-cost building automation and industrial control protocol gateway for original equipment manufacturers (OEMs) that provides manufacturers instant multi-protocol deployment of field protocols, enabling new or legacy devices to easily interface with other protocols. The ProtoAir wireless gateway provides OEMs with the ability to perform standard protocol translation between devices over a wireless network when wired networks are not available or difficult to access using connectivity options such as Wi-Fi, Bluetooth, and cellular. This will enable access between devices or networks of devices to management systems or to the cloud over the air for remote device management, control, and diagnostics. As the first wireless product in its well-regarded FieldServer protocol gateway and router family, the ProtoAir offers all the benefits of the FieldServer family, such as flexibility with the world’s largest library of 140+ protocols as well as low installation and operating costs. 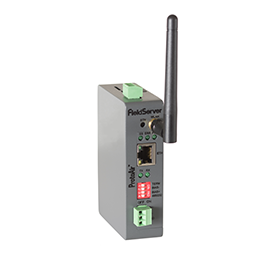 The ProtoAir has the ability to connect to any one or more of the FieldServer standard drivers via the serial or Ethernet port, enabling many different devices and or networks wirelessly. The ProtoAir wireless gateway has the ability to register with the FieldPoP™ device cloud. Through FieldPoP, users have the ability to connect enterprise and IoT cloud platforms to their ProtoAir-connected devices for remote device management and business applications. With the ability to automatically support multiple known controller profiles, the ProtoAir is the instant answer to a manufacturer’s needs to meet customer demands. Click here to get more info and tel them that Ken and Eric sent you! 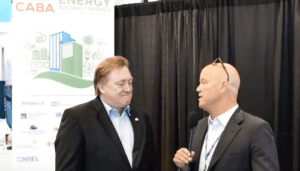 ControlTalk NOW — Smart Buildings VideoCast will resume full video and podcast operations next week. Summer scheduling only permited a quick review of week ending July 17, 2016, which was another amazing week in our industry — featuring interviews with Lynxspring’s Marc Petock, WorkTechWork’s Josh Bradshaw, Lucid’s Vladi Shunturoy, Hepta Systems’ Jason Houck and Tavis Kerr, and CABA’s Ron Zimmer. Catch up on the latest product and solutions announcements from Contemporary Controls, Honeywell, Sierra Monitor Corporation (SMC), and J2 Innovations. Additionally, be sure to register for SMC’s IIoT Webinar, and check out the major additions to Project Haystack’s website. Lynxspring’s Marc Petock takes it to the Edge. 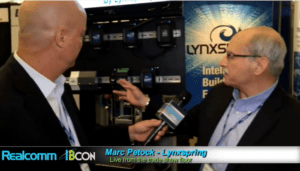 Working as a roving reporter for the RealComm Conference Live team, I track down Marc Petock from Lynxspring and get the 411 on their cool new Edge devices. Smart Buildings get even smarter when information can be gathered and processed at the edge with products like the Lynxspring Onyxx. Onyxx™ is an embedded edge platform consisting of a family of modular, open, hardware, bridges and gateways supporting multiple devices across key market segments, edge to enterprise and Cloud applications. Lynxspring Webinar Series: Java Plug-In, Applet and the Niagara Framework. 30 Minutes with Lynxspring Webinar Series continues with: JAVA Plug-in, Applet and the Niagara Framework. 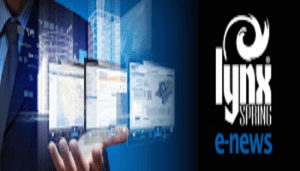 The next “30 Minutes with Lynxspring,” featuring Lynxspring subject-matter experts and special guests, is scheduled for Wednesday, July 20th at 12:00 PM CDT. July’s Webinar looks at the JAVA Plug-In and Applet with the Niagara Framework. Contemporary Controls — Need to Expand Your Network Quickly and Efficiently? 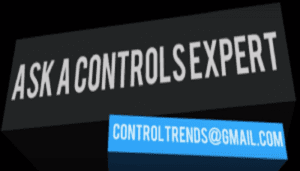 From your network experts and solution providers at Contemporary Controls. Use our compact, high-density Skorpion 16-port plug-and-play Ethernet switch for a cost-effective solution. The unmanaged Skorpion EISK16-100T provides a data rate of 10/100 Mbps with Auto-negotiation and Auto-MDI/X making it ready to be put into service without adjustments. 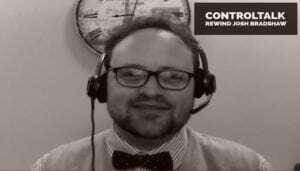 ControlTrends Interviews WorkTechWork’s Josh Bradshaw. We met the very interesting and tech-savvy Josh Bradshaw at the 2016 Realcomm/IBcon conference in Silicon Valley. Josh tracks the technology trends from his home in Northern California, and his blog WorkTechWork is the go to place for people interested in the latest IoT technology trends. Josh covers everything from wearable technologies to smart homes and smart buildings. 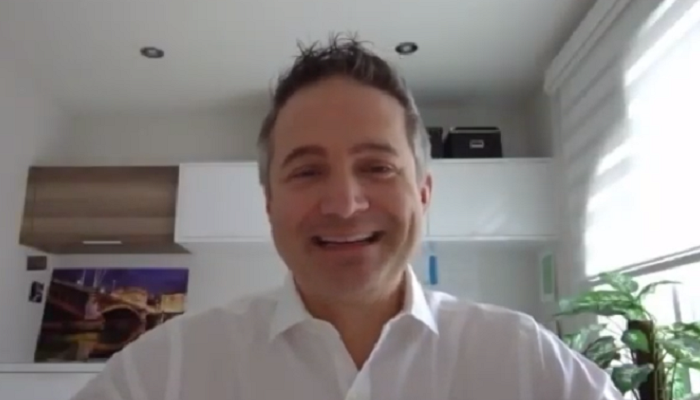 His mantra is “Don’t work for technology… make technology work for you.” In this video Josh gives us his thoughts on the 2016 Realcomm/IBcon conference. Data, Data Everywhere! 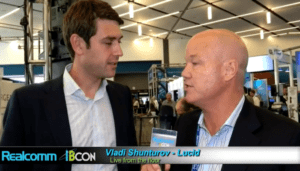 Lucid’s Vladi Shunturoy Explains. 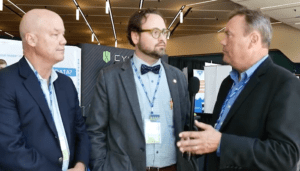 As a roving reporter for the Realcomm live team, I got to interview really cool people like Vladi Shunturoy from Lucid. Lucid brings different systems and different data streams together to make better business through better buildings. The Lucid product is used across over a billion square feet of building space. Watch this video to see why so many people use Lucid. Honeywell Introduces TB3026 and TB3026-W Commercial BACnet Fixed Function Thermostat. Honeywell is pleased to announce the introduction of the Commercial BACnet Fixed Function Thermostat (BACnet FF). BACnet FF is a BACnet communicating controller with integrated temperature and humidity sensing that targets common controls applications such as 2-pipe/4-pipe fan coil units, roof top units, and heat pumps. Catching Up with Master Systems Integrator Hepta Systems at 2016 IBcon Vendor Showcase. 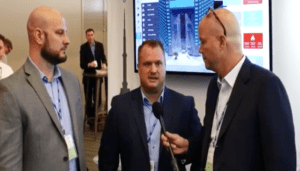 Hepta Systems, Jason Houck and Tavis, help us understand what it means to be a master system integrator in today’s smart buildings controls market. 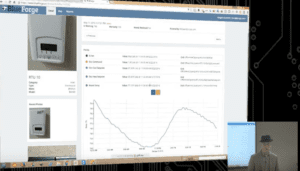 Jason walks us through the Hepta platform as it controls a million square foot building. See how they give their customers a live carbon emission reading, and other unique data points they gather. See how they use these data points to make smarter buildings. Very cool stuff from one of the bright stars in smart buildings. 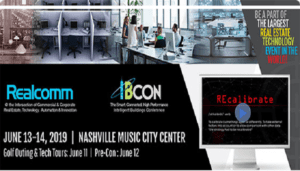 CABA’s Ron Zimmer @ 2016 Realcomm|IBcon on The Smart Way to Get Useful Data. As a teacher of mine once said, “Nothing is obvious to the uninformed.” So, where do you go to get solid research data on smart and intelligent buildings, and connected homes? And, have access to competitive intelligence including the world’s largest smart buildings and smart homes research library? The answer is CABA. Sierra Monitor: 4 Steps to Transform Your Devices into Smart, Cloud-Connected Devices. Before embarking on a journey of IIoT integration, an OEM must determine the precise business opportunities they want to achieve through the IIoT—whether that means improving service and support, knowing more precisely where all its connected devices are located and what they’re actually doing, or gaining the insights that will lead to better products. With our IIoT On-Ramp Suite, we can make it simple rather than daunting to get there. Visit Sierra Monitoring Corporation today! Mark Your Calendar: How to Gain Complete Visibility Over Your Devices. Sierra Monitoring Corporation’s Upcoming Webinar: How to Gain Complete Visibility Over Your Devices. When: Wednesday, August 17, 2016 10:00 AM – 10:45 AM PDT. What: Have you ever installed your device into a facility and lost all visibility over it? Or, have you wondered what kind of data is sitting within your device that could help you provide better service and support to your customer? 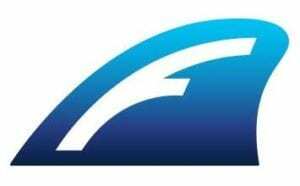 Systems Integrator Alert: Automation Integrated Introduces GLIFF, the FREE On-line Back-up Service for Niagara and the New Service Contract-Maker, BLUEFORGE. Jeff Houpt and Chris Farve lead one of the most progressive and formidable master systems integration support services in the country. Automated Integration can radically increase your ability to sell service contracts and generate recurring revenue through the disruptive times ahead — with their next-gen asset management system BLUEFORGE. 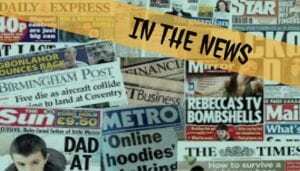 Project Haystack eNEWS: Major Additions to Project Haystack Website. Major Additions to Project Haystack Website Includes a New Blog Feature! The Project Haystack Organization (www.project-haystack.org) is excited to introduce a number of important enhancements to the Project Haystack website. 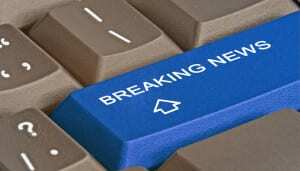 These include: A new Blog feature that allows us to promote postings of general market interest to the Blog level. Check it out here: http://project-haystack.org/forum/blog. J2 Innovations’ Jason Briggs and the Game-Changing Technology inside FIN 4.0. A lot has been going on here at J2 Innovations! We recently announced our game-changing technology FIN 4.0 along with exciting new FIN Certified Hosts platforms. Check out the video below to experience first hand how FIN 4.0 uses tagging, data modeling, and HTML 5 to fundamentally change our industry. Attention Systems Integrators! Get Jobs Done Faster and Easier — with industry leading software tools and cool applications that will help you sell more jobs.